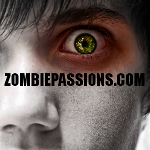 Zombie Passions: scifimarine - Free Zombie Dating - Amateur Zombie Killer;Zombie Film FANatic;Zombie Survivalist;Professional Zombie Killer;BRAINS!!! SCIFIMARINE has no current links. Very eclectic in hbys./intrsts and sci fi is one.